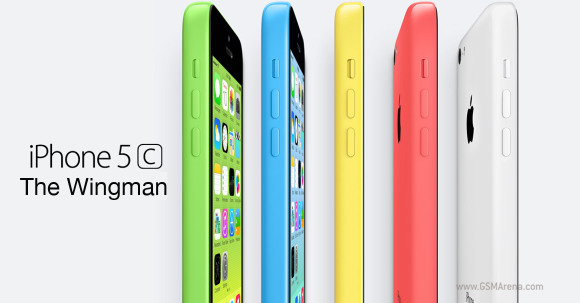 Apple iPhone 5c might be in trouble. The latest report coming from the guys over CTechCN, suggests Apple has halved the iPhone 5c production to 150,000 units per day compared to the initial 300,000 order. CTechCN has proven trustworthy with numerous iPhone 5c leaks in the past and there is a good chance it is right once again. The Apple iPhone 5c was rumored long before its premiere as an affordable alternative to Apple's flagship, helping the company storm the world's biggest market - China. Unfortunately the case turned out to be different and the 5c was priced quite close the iPhone 5s flagship. It appears that China has not reacted particularly favorably to the iPhone 5c and the country's thriving gray market has dropped the price of the smartphone to $500, good 30% lower than the official asking price of $725. This being a market that is much quicker to adapt to demand, the price drop probably suggests consumer interest is as low as we expected it will be. Even though the iPhone sales were off to a record-breaking start Apple didn't share a breakdown of those. We guess the iPhone 5s is the one behind the huge numbers though, while the unlikable iPhone 5c is just being the unattractive wingman. You buy iPhone because it's premium and classy, status symbol they say. Buying a cheaper iPhone defeats the purpose of having an "iPhone". It's worth at least 300$. Nothing more than that. Brand name isn't enough to sell a phone.